Two Argentina lion siblings reunite at Minnesota's The Wildcat Sanctuary! 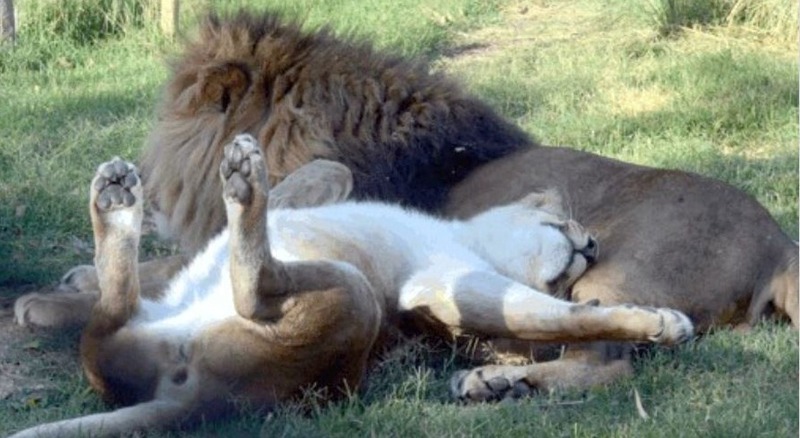 Home » Two Argentina lion siblings will finally be reunited at The Wildcat Sanctuary in Minnesota! What’s happening in Argentina is an example. As their zoos change from exhibiting wild animals to instead becoming more compassionate eco-parks, it’s meant many of their big cats have needed placement. You’ve already helped lions Salteña, Chupino. Kimba, Sofia and their son Gino make their way here from the Buenos Aires Zoo and the Mendoza Zoo. Now, will you help us reunite family members Leo and Mansa? Male lion Leo is also known as Melena, meaning “mane” in Spanish. He and female lioness Mansa were born 11 years ago at the La Plata Zoo in Argentina. 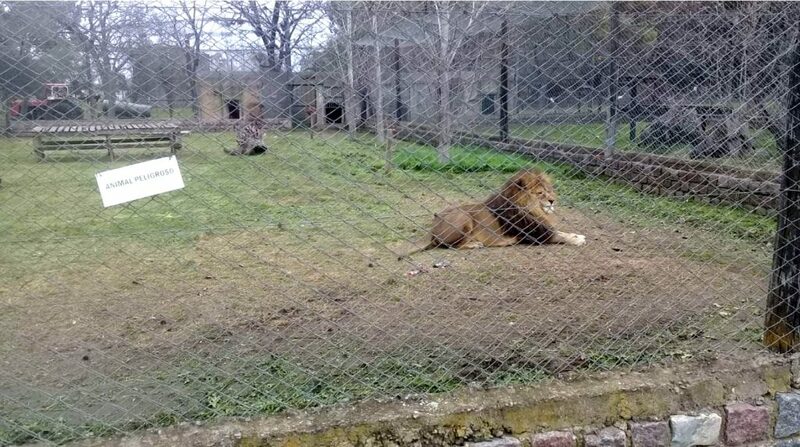 When Leo was young, he was transferred to La Máxima Zoo in Olivarria, Argentina. He lived there many years with female companionship, seen cuddling in this photo below. Sadly, the female he lived with died unexpectedly in 2015. Since then, Leo’s been the only lion, living alone. But that’s about to change for him! With your support, we’ve agreed to bring Mansa and Leo together again! We’ll welcome them both to live out their days at The Wildcat Sanctuary. Not only will they have the company of each other, but they’ll also live among our six other resident lions. Leo will never be lonely again! WHY GIVING NOW IS SO SPECIAL! Now during GIVE TO THE MAX, no matter the size of your donation, you’ll be helping this dream come true for both Leo and Mansa. How? Because your DONATION’S BEING DOUBLED right now, up to $10,000! And you’ll be entered for a chance to win our CARETAKER FOR A DAY experience! We offer this chance only once a year, so don’t miss out on it!! If you give $100 or more, leopard Shadow will send you a special thank you that includes her paw print! Plus, you’ll have the wonderful feeling knowing you’ve helped reunite family members Leo and Mansa and given them a whole new life to enjoy!